Take the opportunity to visit the world-class facilities at the Chalmers Photonics Laboratory! We offer tours of the fiber-optics measurement labs and the Chalmers Nanofabrication Laboratory. The number of visitors is limited. Pre-registration is required. Following a long tradition since 1978, the European Semiconductor Laser Workshop (ESLW) will be hosted just before ECOC, this year at the Technical University of Denmark. The workshop will provide an informal discussion forum on exchanging most recent research results and achievements in the field of semiconductor lasers, related devices and technology. Furthermore, it is a great opportunity to find new collaborating partners and strengthen your existing friendships. Lab work is most efficient when data can be acquired in an automated way. Especially when taking measurements over long durations automated acquisition avoids introducing human error and allows researchers to concentrate on the fun part of experimental work. Open source software in easy to learn languages such as Python provides just as much, or more features/interoperability for lab automation than alternative commercial software. In this hackathon several researchers with 10+ years experience of lab automation will show you the power of using Python to quickly get a lab experiment running and display the measurements in a browser. We will learn from companies that work in photonics how they take advantage of Python to create easy interfaces to their software and hardware. This event is now fully booked, if there will be cancellations and places available we will announce this on site at the conference. A light lunch will be served at the session. 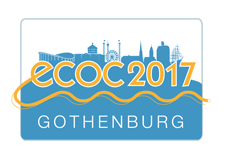 To promote personal and professional growth for women in Science, Technology, Engineering and Mathematics (STEM) this special networking event will be arranged as part of the ECOC 2017 conference. Two top female leaders are invited and will give talks to share their personal successful experience with the participants, which can hopefully inspire/encourage young female professionals and PhD students to be as future leaders in STEM areas. 12:10 Announcement of European Women in Space Technology Initiative, Dr. Linda Mondin, European Space Agency (ESA). 12:55 Panel discussions, Pia Sandvik, Anna Rathsman and Linda Mondin will be in the panel to have interactions with audiences and answer questions. 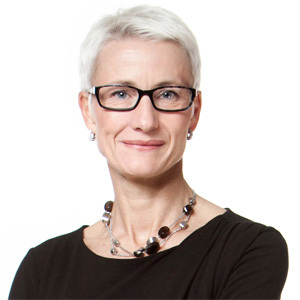 Pia Sandvik, CEO, RISE Research Institutes of Sweden. Pia has switched between research and the business sectors, and that’s something she enjoys. Her aim for RISE is to focus on both coordination synergies and develop new services that benefit customers and society. 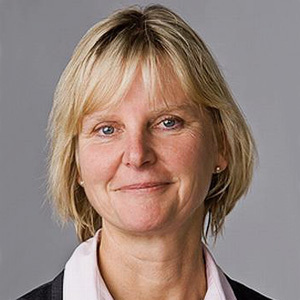 Anna Rathsman, Vice President & CTO, Technology & Innovation, Swedish Space Corporation (SSC). Her role as Chief Technical Officer is to provide the technical vision, support the business development, sets the tone and guides direction for the company’s development and deployment of core technologies. A panel discussion will be then followed for interaction between the speakers and audience while enjoying a light lunch. The event will be held 12:00-13:30 on September 19 as part of the ECOC 2017 conference, registration is free of charge to all attendees of the conference. The event is organised by RISE Acreo, IEEE Photonics Sweden Chapter and IEEE Photonics Society as part of the IEEE Women in Photonics/Engineering (WIP/WIE) initiatives. The number of participants is limited to 120, first come, first served.